Why did you decide to be a headline sponsor of the Gatwick Diamond Business Awards? We are delighted to be a sponsor of the Gatwick Diamond Business Awards again this year. It provides a really valuable way of helping promote business excellence and innovation, and is well respected as an awards programme in the region. The fact that the event brings together such a diverse range of businesses from across the area, celebrating excellence in business and sharing what it takes to grow and succeed. The awards process is very rigorous and the awards event itself is always spectacular. How important is it for the airport to be involved and support the local business community? 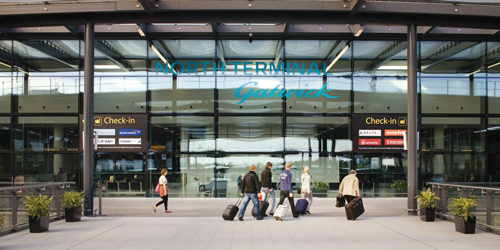 Gatwick Airport is an important focus for the South East region’s economic activity and is a major employment site, generating over 21,000 direct on-airport jobs and a further 10,000 jobs in the area. We participate in regional activities through active membership of economic groups and partnerships, working together to build a strong local supply chain; boost business and to strengthen opportunities for employment and skills development. Last year we spent £74.1m in the Gatwick Diamond area, about a third of our total procurement spend. Local businesses are therefore very important to us, and we promote opportunities through networking, targeted events and sponsorship. Gatwick Airport has had significant growth over the last few years, can you outline some of the big milestones and achievements? The airport has experienced a period of unprecedented growth since we came into new ownership in 2009 – just in the last 12 months we have handled over 42 million passengers. We are half way through a £2.5bn capital investment programme which combined with an absolute focus on service and efficiency has helped to transform the experience for passengers travelling through Gatwick. Gatwick now serves more than 220 destinations in 80 countries and over the last year has secured over 20 new long haul routes. This makes Gatwick Europe’s fastest growing airport for long haul growth and takes us into the premier league of airports serving more than 50 long haul destinations. We have also set out our ambition to be the UK’s most sustainable airport through our Decade of Change commitment focusing on ten key sustainability criteria over ten years. Despite Gatwick’s rapid passenger growth Gatwick is proud that this growth has been accompanied by rapid reductions in carbon; energy and water use. As we continue to thrive we want to see our local communities thrive too, and in September 2016 we were proud to announce the new Gatwick Foundation Fund, established to provide £300,000 in annual grants to local charities and other non-profit organisations. Funds are evenly distributed by the Community Foundations for Kent, Surrey and Sussex. We have already awarded grants to 31 worthy projects across the three areas and look forward to working with them and other successful projects in the future. This £300,000 annual fund is on top of Gatwick’s existing charitable donations, including the independent Gatwick Airport Community Trust. What does 2017 have in store for Gatwick Airport? Next year will see the highest level of capital investment in the airport’s history with £250m worth of infrastructure projects planned for delivery, part of the £1.3bn capital investment plan that we will deliver over the next 6 years. Our most ambitious project takes place in January 2017, with the Airlines Moves programme. This will see British Airways move it’s entire operation to the South Terminal and easyJet consolidate all its operations in the North Terminal. Virgin will also move to the North Terminal. 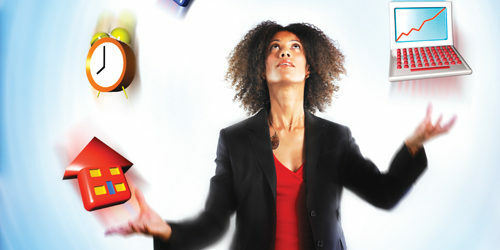 These moves take place on 24th, 25th and 26th January, following two years of intensive planning, investment and testing.